Adam Green is back with a sequel to his 2007 straight to DVD slasher flic Hatchet. The first film was a lot of fun, starring Kane Hodder (best known for his role as Jason Vorhees from Friday the 13th Part VII and up) as Victor Crowley. 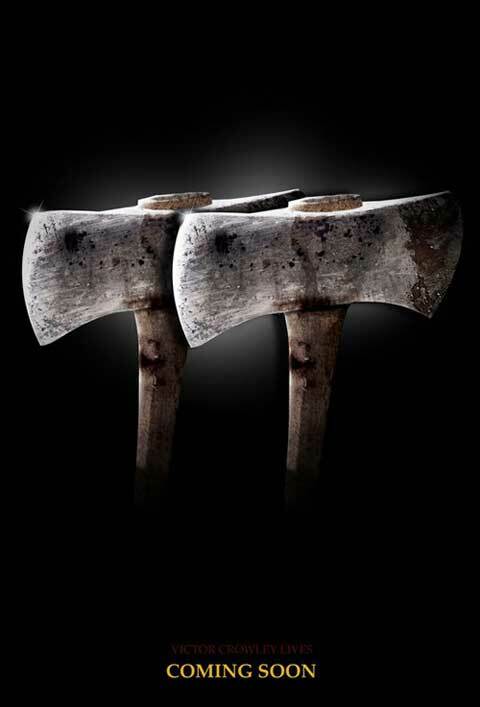 Hatchet is a throwback to early 80s slasher films and is one of the few films responsible for the resurgence of this sub genre of horror film. 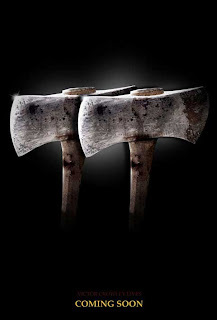 Hatchet II is due in theatres October 1st, 2010, and its unrated! "Adam Green’s Hatchet II picks up at the exact moment that 2006′s Hatchet ends, wherein the quiet but hot-tempered Marybeth (Danielle Harris) is in a small boat in the Louisiana swamps, screaming for her life as she tries to free herself from the clutches of the deformed, swamp-dwelling killer Victor Crowley (Kane Hodder). Crowley has murdered Marybeth’s family and other fellow vacationers who had come together on a tourist excursion in the swamplands outside of New Orleans. Marybeth escapes from Crowley and manages to make it back to civilization, where she once again encounters voodoo shop proprietor Reverend Zombie (Tony Todd), who had helped to arrange Marybeth and company’s earlier, ill-fated tour of the area. To help Marybeth and also serve his own secret agenda, Reverend Zombie recruits a hardened pack of hunters to head back into the swamp to seek revenge on Victor Crowley." Head over to IGN to see the newly released RED BAND Trailer!